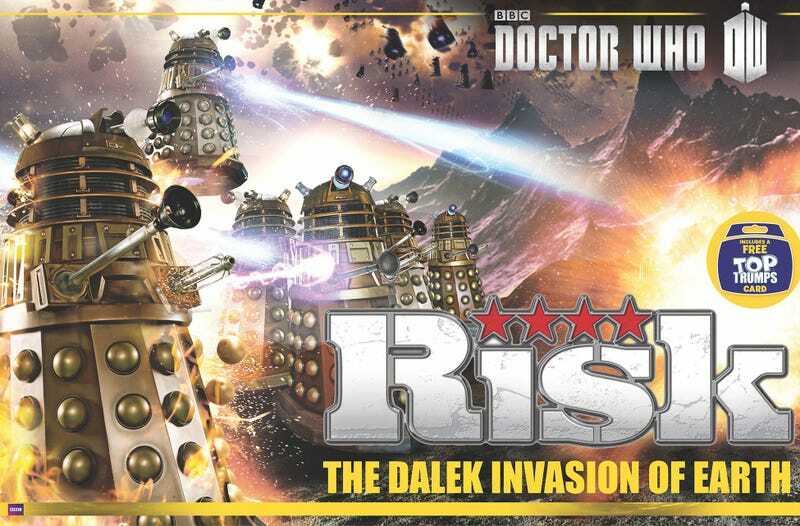 What the hell, they're making Doctor Who... Risk? Earth. Early 21st century. The planet has faced many invasions in the past, but never has mankind faced an assault like this, as multiple Dalek armies descend from the skies, seeking to destroy one another and conquer the world. Many years ago, an ancient artefact was hidden somewhere on the planet, an artefact that will enable the Daleks to reign supreme across the universe, defeating any who stand in their way. Such an object is so valuable that even the Daleks cannot agree how best to wield it, and have split into renegade armies, each as cunning and determined as the next. Play as one of 5 different armies, either classic (Black, Bronze & Silver) or New Dalek Paradigm (Red & Yellow)as you invade Earth seeking the ancient weapon. 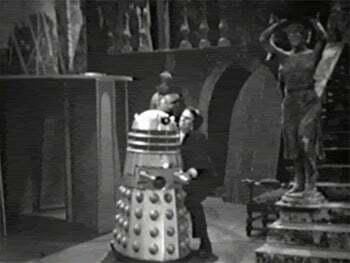 Only once all opposition has been wiped out can you begin the search - will you be the last Dalek army left? Watch out for the TARDIS sweeping round the board to defend Earth! As you fight for supremacy, the Doctor will do his best to stop you, bringing peace to a different territory each turn, and if your army is not victorious by his eleventh regeneration, then the battle is over and all Daleks must retreat as the Oncoming Storm saves the Earth.